For most people the first time it happens is in the winter when the road is particularly wet or is frozen with ice. For others it is that moment when you look away from the road to fiddle with the controls on your stereo, only to look back and see the traffic ahead has come to a standstill. What these people have experienced is the very frightening moment when you press the brake pedal in your car and a wheel stops rotating, or locks, and the car begins to skid. The resulting skid can affect your control of the car in two ways. Firstly, the distance required to slow the car will lengthen dramatically as you have a reduction in grip from at least one of the tyres. In addition should you have the composure to steer around the hazard you will find that you have now lost all steering control. Similar to a faulty wheel on a shopping trolley, where a wheel is stuck in position and makes it nearly impossible to steer around the aisles, turning the steering wheel in a car will have no affect, as the wheels are not rotating and the momentum will force the car to continue straight on. The only way to try and counter the locking wheel is to release and apply brake pressure in a rapid sequence called cadence braking. You can see this quite clearly in Formula One racing where a driver brakes for a corner at high speed, the tyre stops rotating, smoke comes off the tyre as it starts to skid and the driver quickly releases the brakes pressure and then reapplies to regain braking power and steering control. Unfortunately most of us don’t have the lightening reactions of a racing driver, which is why Toyota equips each of its models with Anti-Lock Braking (ABS). When the situation arrives where you need complete confidence in your braking system, the Toyota ABS package will seamlessly integrate within your car to produce a smooth, powerful and reassuring braking performance, by applying and reapplying the brakes by up to 15 times a second, allowing you to confidently stop or, if necessary, navigate around a hazard. 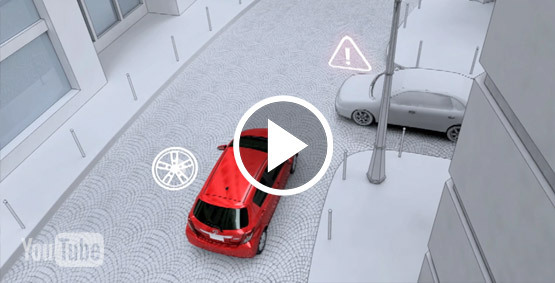 Understand how the Toyota ABS system works in your car with our short film, which is part of the Better Designed for You, Built by Toyota series.